Gorgeous white sand as fine as talcum powder. Summery blue cloudless skies with the sun shining down in all its glory. Gently swaying palm trees that provide the most pleasant shade. A relaxing summer breeze. An expansive sand mesa that passes by a vast coral garden full of vibrant tropical fish. A colorful array of hammocks, lounge chairs, umbrellas, and beach towels. These are the typical characteristics of what we, and most other people, consider excellent, perfect beaches—characteristics that have been ingrained in us. 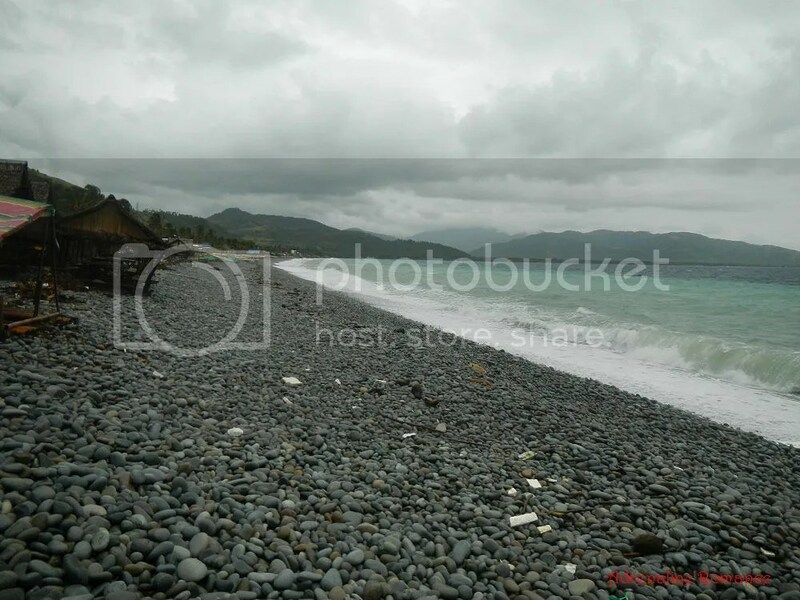 Well, that notion of a perfect beach suddenly changed when we visited Mabua Pebble Beach in Barangay Ipil, Surigao City during our Caraga Region road trip. It was everything opposite of what we described above, but it was gorgeous and perfect in its own way. In fact, it’s more than just a beautiful beach; we consider it as one of the most unique beaches in the world. 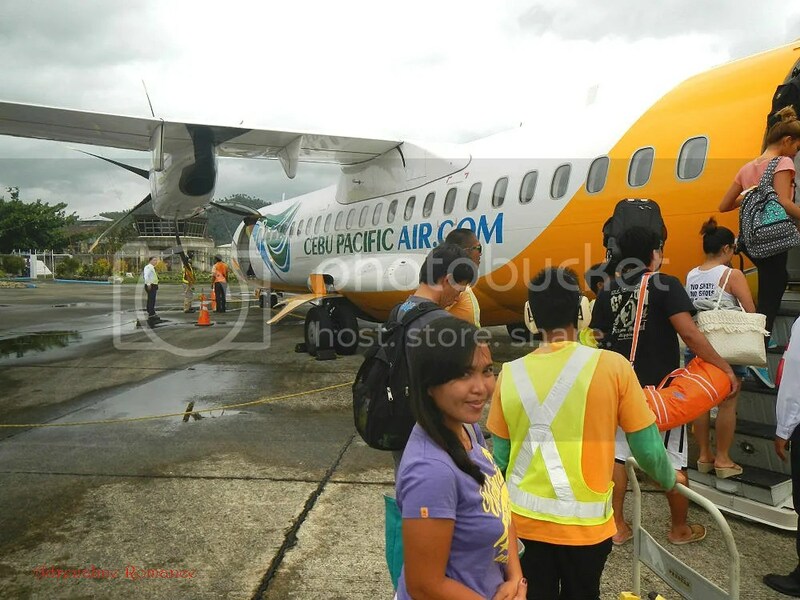 After 5 hours of traveling from Tandag City, we finally arrived back at our point of origin in Surigao City. Whew! It has been a long 3-day ride. But all the sights were all worth the trip! We had a light, late lunch at a local Jollibee and asked around for a tricycle to take us to Mabua Pebble Beach in Barangay Ipil. Although we had to pay a little extra, we were able to secure a tricycle that goes directly to the resort where we booked. We’re on our way to Baranggay Ipil. Note the streets; they’re very clean. Also, although Surigao City is quite urbanized, it still has that charming, provincial feeling thanks to the presence of large tracts of farmland and lofty hills. Half an hour later, we arrived and checked in at Mt. 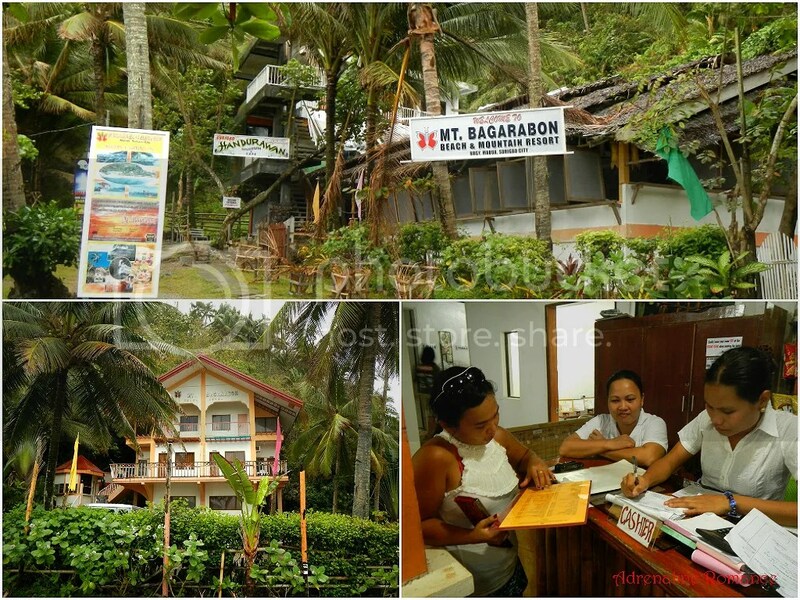 Bagarabon Beach and Mountain Resort, the last resort on the coastline. Apparently, the resort is named after a mountain because it is situated right at the foot of Mt. Bagarabon (actually, a hill that slices the coastline). It was quite a unique resort, being located just in front of both a hill and the sea. How cool is that! We still had time to witness the sunset. As we headed out into the beach, we were treated with an awesome scene, a muted, cloudy sunset that softened the colors of the land. Also, notice the large, barreling waves racing toward the shore. 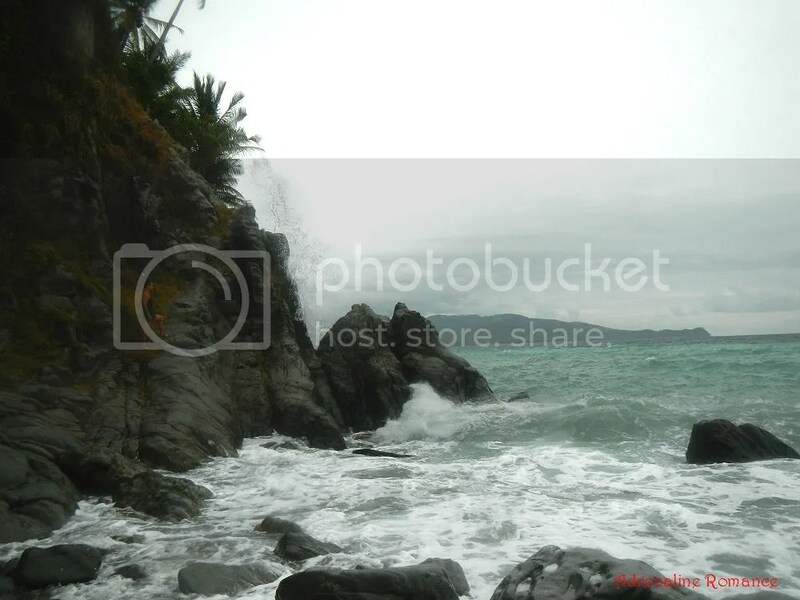 These powerful waves were generated by the winds of the habagat season. 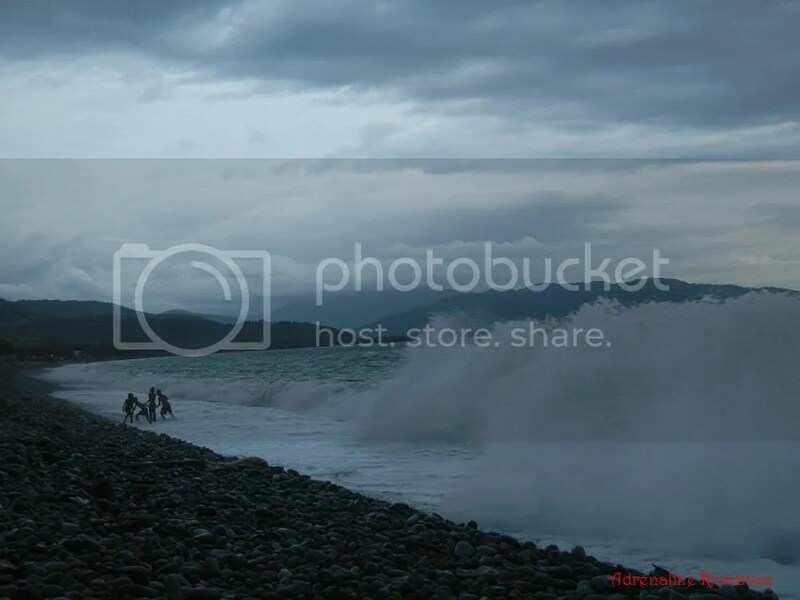 To give you an idea of how big and powerful these waves were, check out the photo below. These teens were frantically scrambling (with glee, of course) from a mammoth wave that came crashing to the shore. We can still remember the pebbles’ screaming, gurgling sound as each huge wave receded back towards the sea. 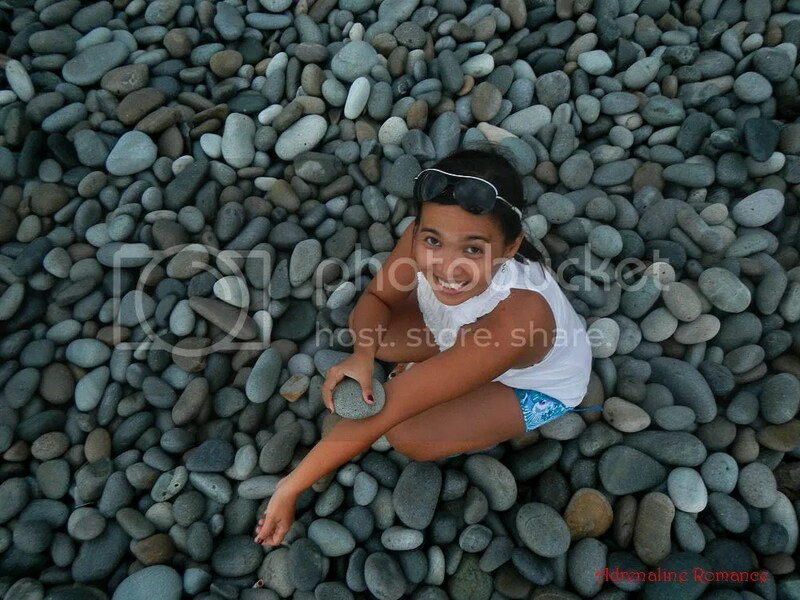 We quickly realized that the word “pebble” in Mabua Pebble Beach is a misnomer. Judging from the stones Sweetie is clutching in her hands, these so-called pebbles are immense! 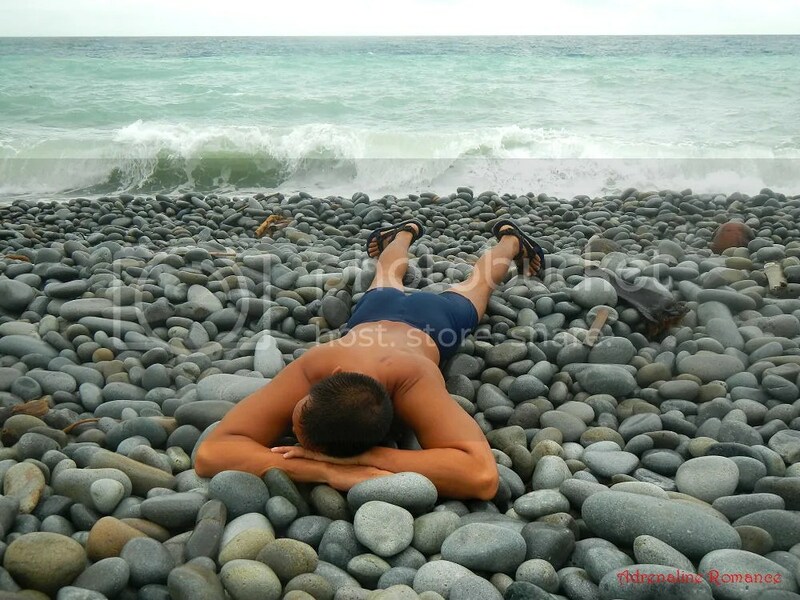 These are not teeny, tiny pebbles at all but large, heavy stones smoothed and shaped by the sea! Getting the load off, Sweetie? Hehehe! Check out the sizes and the variety of those pebbles. Now we saw how an aquarium with a bed of pebbles looks like to a fish. All too soon, the light disappeared, and our digicam is not equipped with a strong flash or a setting that allows us to take night shots without ambient light, so we headed back to the resort and ordered a sumptuous dinner. And just like in La Entrada, the food items in Mt. Bagarabon Resort are very affordable. We planned to go to the beach for night swimming. 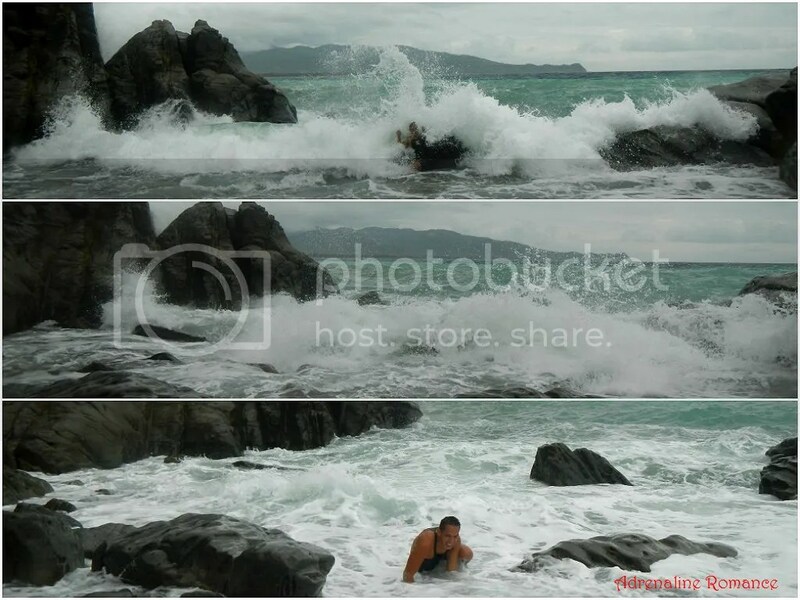 However, the waves were too powerful (we didn’t want to get smashed on the rocks), and it was drizzling. So we just watched an ongoing wedding anniversary party held at the resort’s restaurant and remarked about the odd placement of amenities in our room. The coolness of the air, the constant drone of waves smashing on the shore, and the song of the rain all combined to a sweet, all-natural lullaby. The morning after, we decided to climb up Mt. Bagarabon, actually a hill that slices the shore in half. 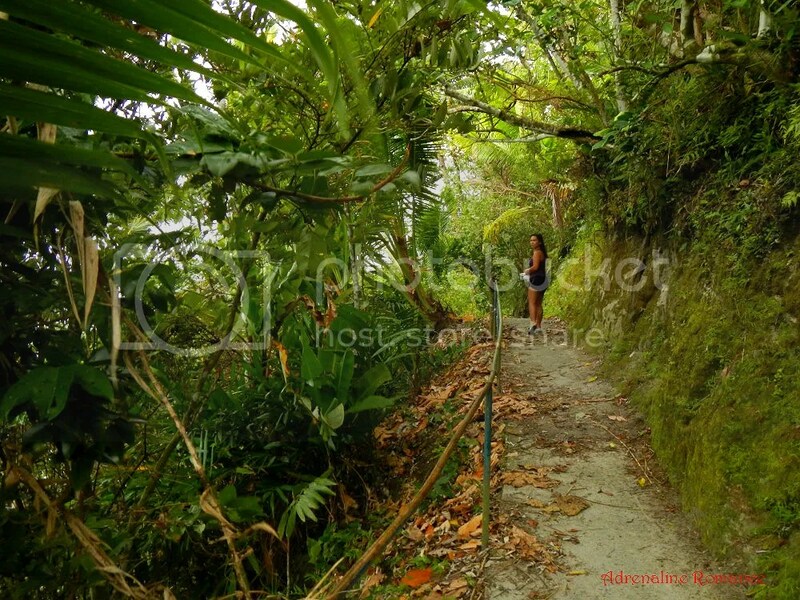 To get to the other half, we needed to hike along this established trail, which starts just right behind the resort. 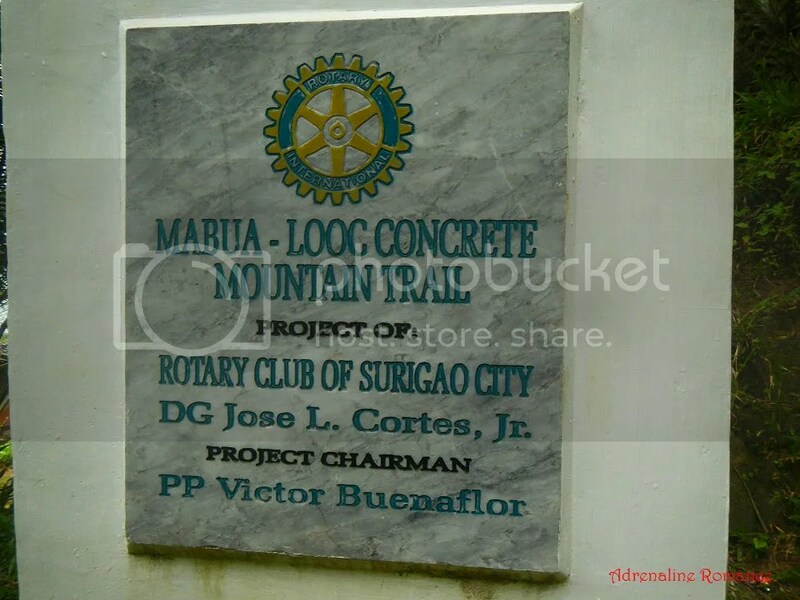 It was the Rotary Club of Surigao that created this trail. We believe that this is the right move rather than bulldozing the entire hill just so the two barangays of Mabua and Looc can be connected. The first part of the mountain trail consists of something that we have a love-hate relationship with—a long flight of stairs. It makes the ascent easier, yes. But as mountaineers and hikers, we got so used to walking on steep trails that climbing these stairs was actually exhausting and painful to the feet. Verdant light woods surround the trail that is latched along the slope of the hill. At Sweetie’s left is a cliff that leads to the sea. In the middle of the trail is a grotto where one can rest after the long climb. 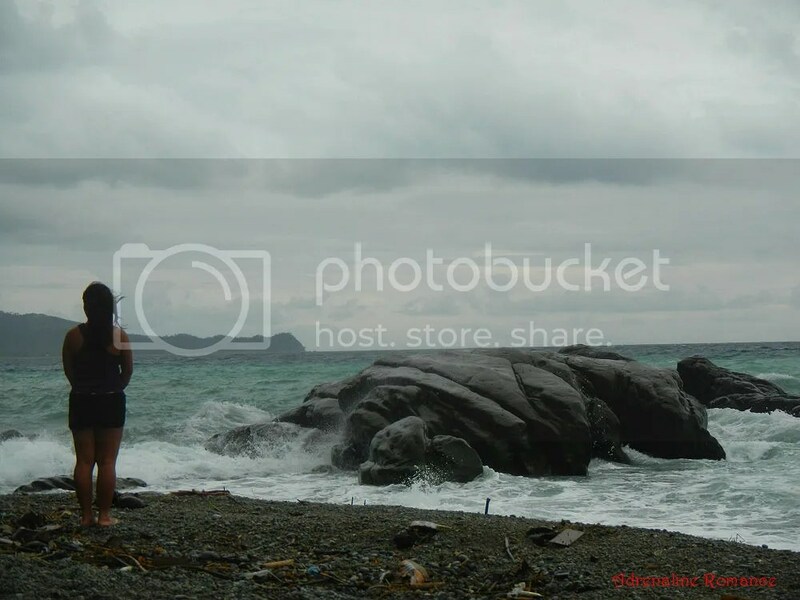 This is also a viewing area where one can see an encompassing view of the coastal barangay of Mabua, which we will be showing to you later in this article. See how steep that cliff is? Good thing that safety rails have been put in place to prevent such disastrous falls. 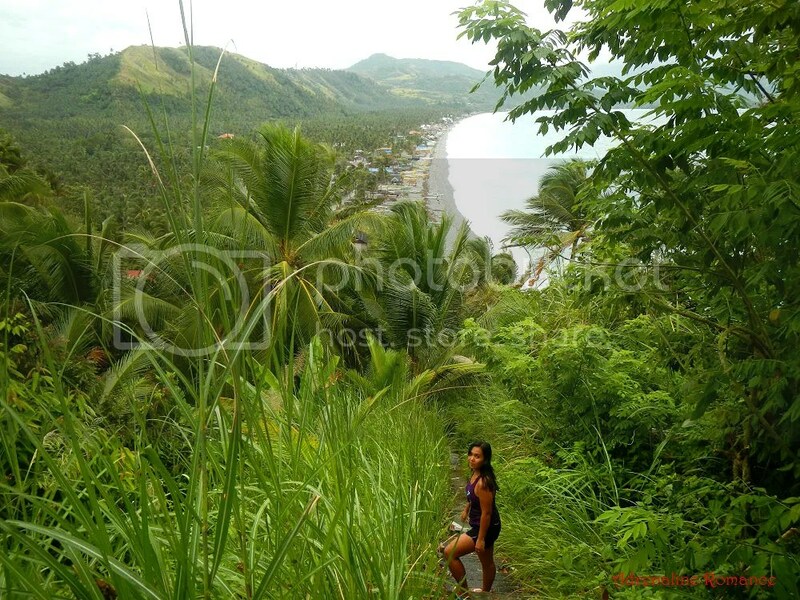 The Mabua-Looc mountain trail, we learned, is a primary pedestrian artery for the two barangays. But during our visit, we only encountered a couple of locals. Most probably, they preferred staying indoors because the day was windy and drizzling. Wow! Look at that! 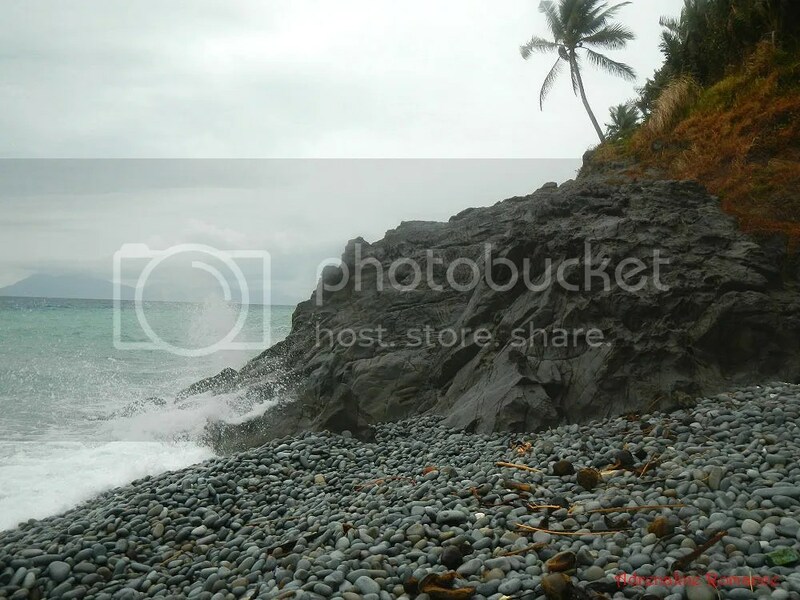 Even though it was a gray, drizzling, windy day, the view of Butuan Bay is absolutely stunning. The muted colors just made the vista more otherworldly and mysterious. After a few minutes, the trail started to lead down slowly. We found those moss-covered slabs of limestone quite interesting. 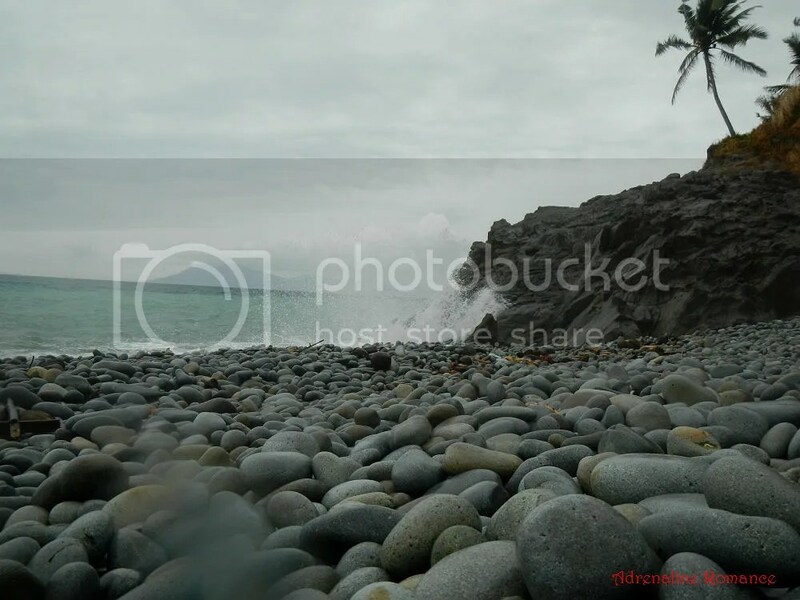 As we descended down the trail, we could see Looc Beach lined with the same huge pebbles in Mabua. Or so we thought. We saw this huge, beautiful rock formation on our way down the trail. From this viewpoint, we thought it looked like the back of some unnameable sea monster. 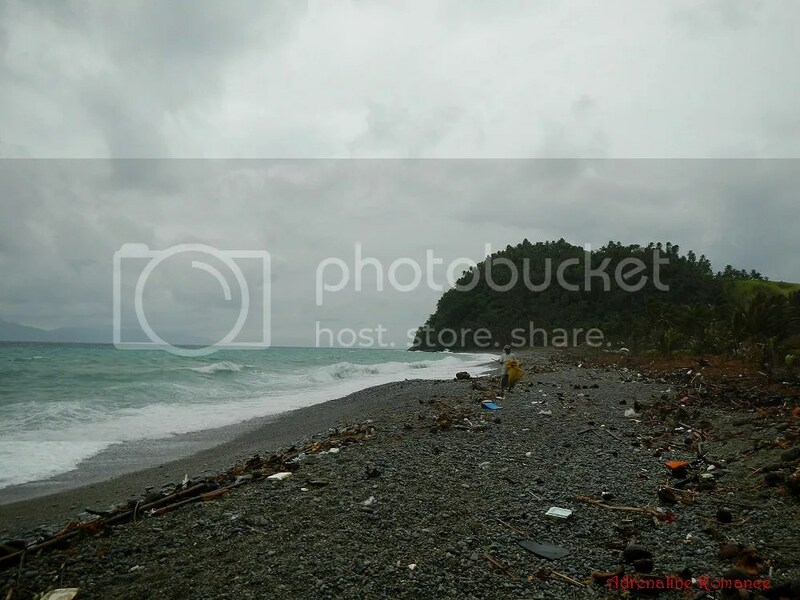 Unlike the manicured and regularly maintained Mabua Pebble Beach, Looc Beach was—for the lack of a better word—virgin. Marine debris, driftwood, rotting coconut shells, and fallen palms all line up on the shore, marking the boundary of the waves. We saw a few cottages, so we guess this is a public beach. Even amidst strong winds, a few locals wandered about to see if they can find a few treasures of the sea. 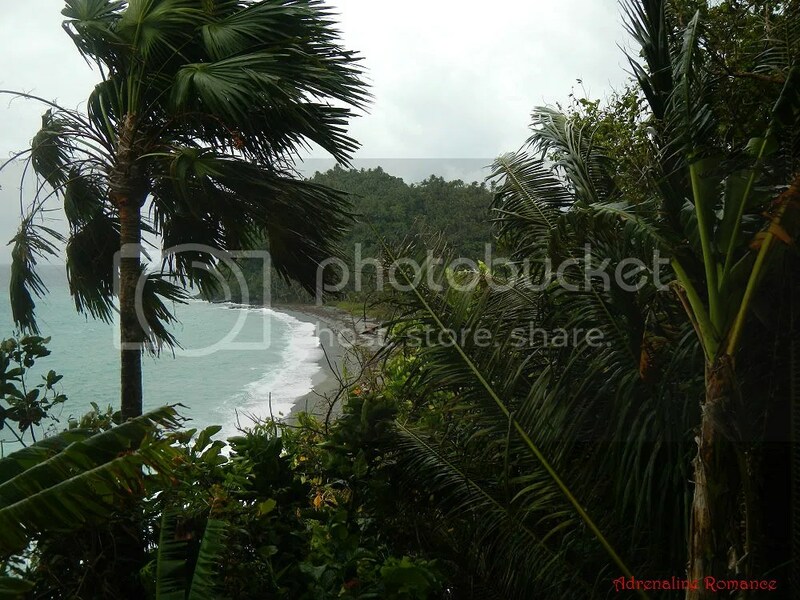 Looc Beach can be a beautiful beach nestled in serenity. It just requires a simple undertaking: cleaning all the rubbish on the shore. 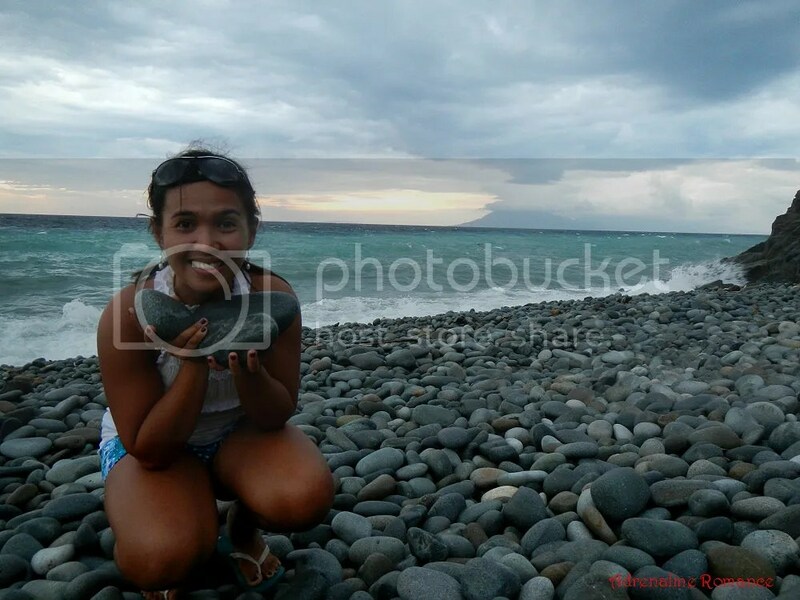 Strangely, the pebbles in Looc beach were significantly smaller than those in neighboring Mabua. Sweetie and I flicked through our stores of mental knowledge, but we cannot find any explanation of the massive difference in the size of the stone. Just think: only a small hill divided the two beaches. 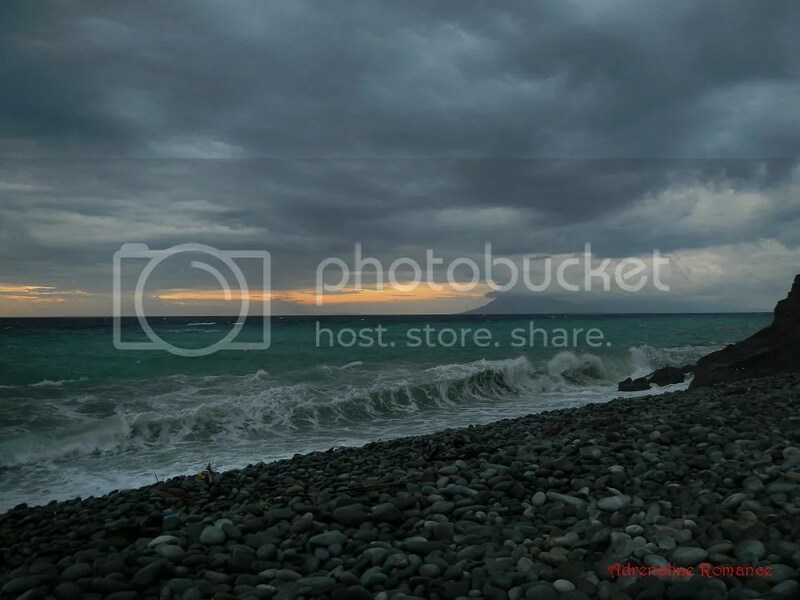 A beautiful medley of sea, land, clouds, and wind. That mountain marks the very tip of the Surigao peninsula. 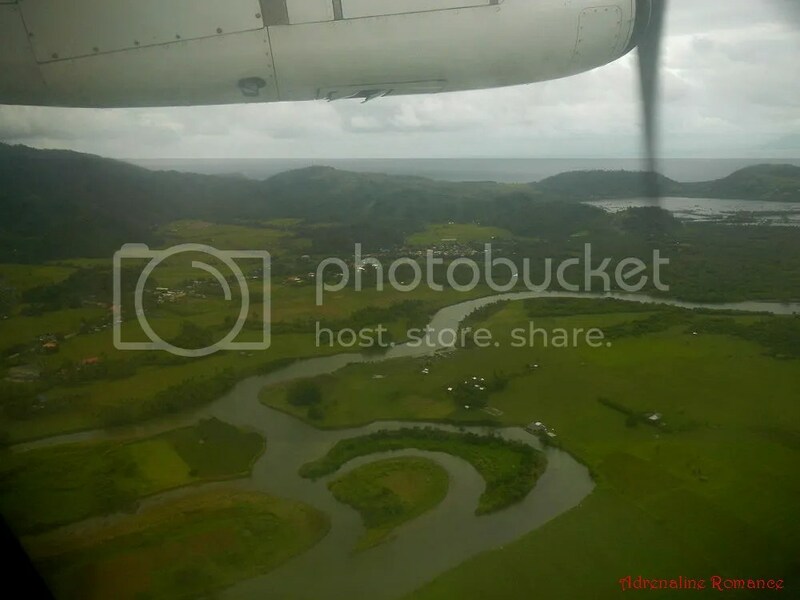 Beyond that forest-covered mountain is the vast Surigao Strait that divides Panaon and Dinagat Islands. Sweetie decided to explore the “monster” we’ve seen earlier. Up close and with the waves pounding on it, the sedimentary rock formation looked like it was alive, breathing gently. We wouldn’t be surprised if, after that huge wave receded, a mermaid would suddenly appear at the top of the rock. 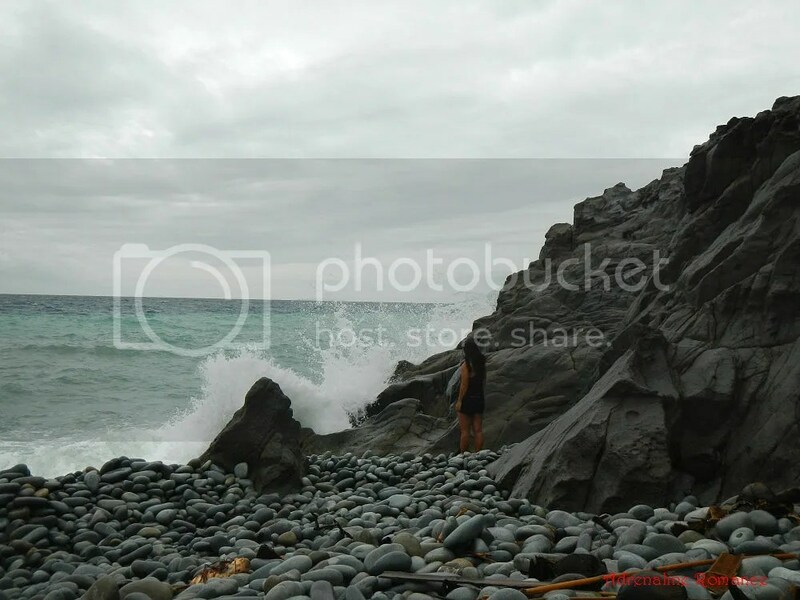 We imagined that during days when the water is calm, this rock would become an ideal place to hang out and witness Surigao’s spectacular sunset. Strangely enough, the water was comfortably warm even though it was a cold, rainy early morning. So, we decided to take a dip. How utterly refreshing! Feeling a bit braver than usual, I ventured a little bit farther to take a closer look at the massive waves and to see if that small rock can protect me from the waves. Also, as a beach boy, I know how large waves can become expert impromptu masseurs. Here comes a big one! The wave was so big and powerful that the jutting rock didn’t offer me much protection. I may have weight-trained extensively in the gym, but that didn’t help me from getting easily swept off the rock and back to the shore, which is around ten yards away! Sweetie and I had our fill of taking a morning dip. It was time to say goodbye to Looc Beach but not before admiring the serenity and giving high respects to the awesome, unfathomable power of Mother Nature. On the way back, the sky brightened a bit, making rain-washed leaves greener than usual. We were rewarded with an encompassing view of barangay Mabua and the beautiful hills that surround it. Indeed, it’s beautiful in Mindanao! 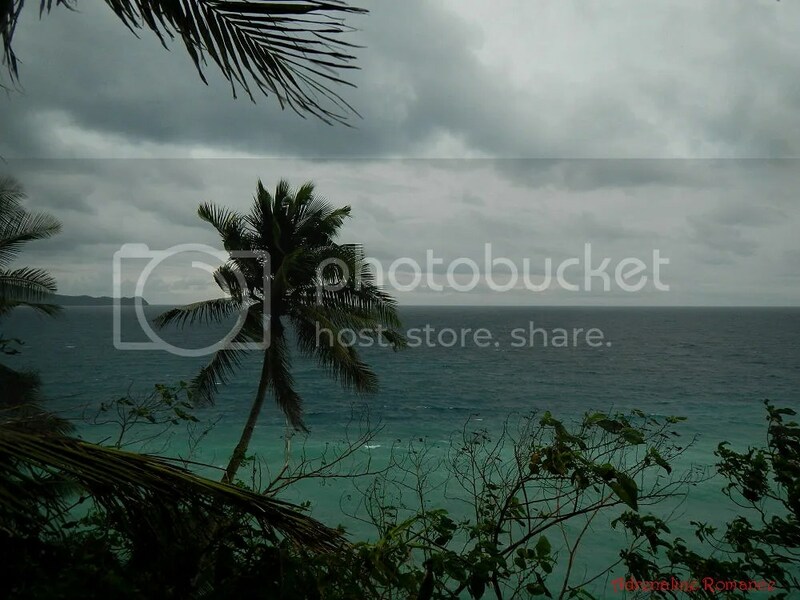 Below us was the idyllic yet lively fishing town and emerging tourist destination of Surigao, the Mabua Pebble Beach. Check out that landscape; it’s definitely scenic. This view alone can melt anyone’s stress away. The unique pebbly coastline of Mabua is quite long; we reckon it’s more than a kilometer long. Lined a few tens of yards behind a wave-battered pebbly shore is a cool mishmash of resorts, stores, and houses. Sunbathing on a rainy, gray morning? Oh really, now? Hehehe! Surprisingly, the large rocks didn’t hurt a bit when I laid down prone. For thousands or even millions of years, the sea’s tremendous power shaped the smooth stones that make up this unique coastline. Mother Nature’s hand is gentle yet persistent. The power of the waves! Sweetie went to this part of the foot of Mt. Bagarabon to see how the cliff that faces the sea looks like. 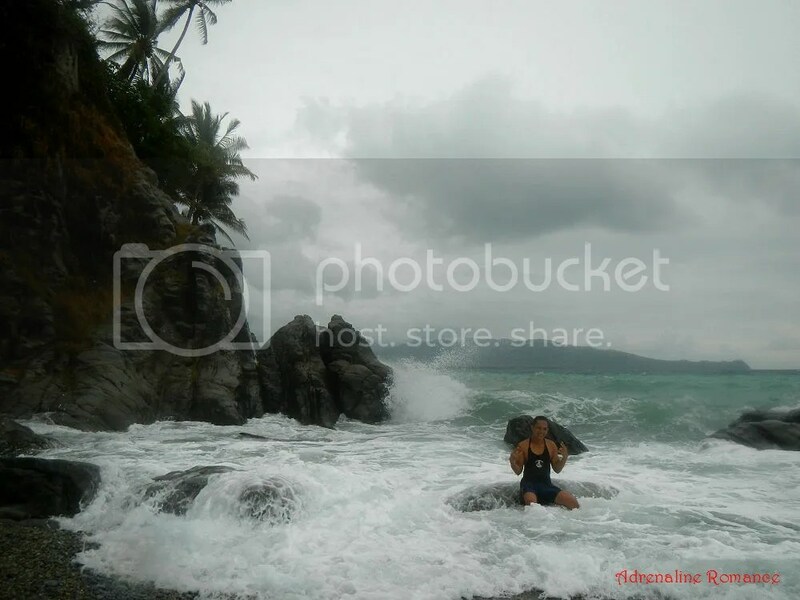 A few seconds after the photo below was shot, a huge wave totally drenched her. Hehe! Sweetie quietly contemplated on just how splendid, awesome, and terrifying Mother Nature is. As we approached the last hours of our trip around the Caraga Region, we realized that while Nature is tranquil and breathtaking, she can also be extremely harsh, pitiless, uncaring, and unbiased. Two hours later, we concluded our morning with a delectable breakfast of seafood, beef, eggs, and rice. Thank you so much for the hospitality, Mt. Bagarabon Mountain and Beach Resort. 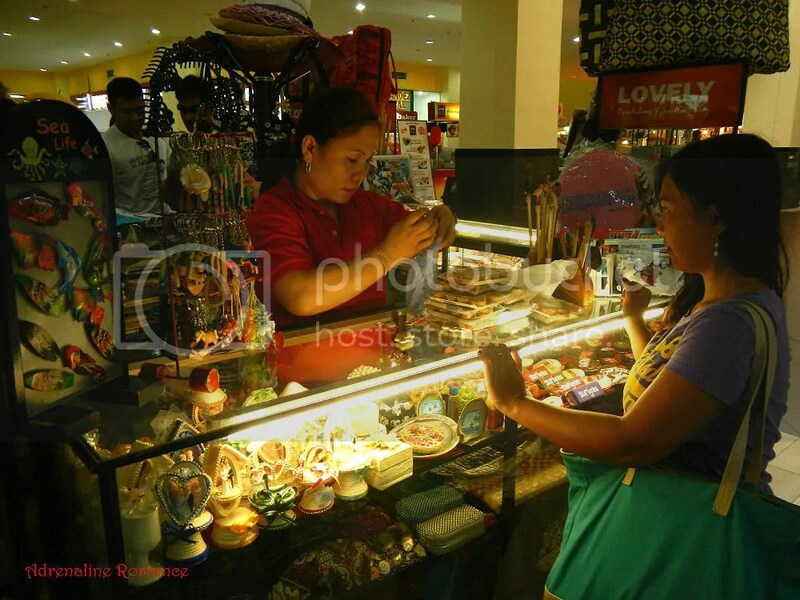 Since we checked out half an hour earlier than planned, we had time to drop by Gaisano Surigao to buy some pasalubong. You might say it’s a waste of money, but buying pasalubong for loved ones back home is a time-honored tradition that we’d like to keep. Never mind the extra weight that we have to carry; all that matters is the thought that we’re also thinking of the happiness of our loved ones while we’re hundreds of miles away. We hiked towards the airport for 10 minutes—under a steady drizzle, we might add. To compensate for that minor inconvenience, we ate some sweet biko (a kind of sticky rice cake) and cone-shaped sayongsong, the latter of which is only found in Surigao del Norte, specifically in the barangay of Mabua. Sayongsong is a rice cake made of malagkit (sticky rice), which is cooked in coconut milk and brown sugar and mixed with finely crushed peanuts. The cake is then brushed with a thin coat of coconut oil and rolled in banana leaves in the shape of cones. Finally, it was boarding time. We really didn’t want this trip to end; there are just so many wonders to see and adventures to do in the Caraga Region. 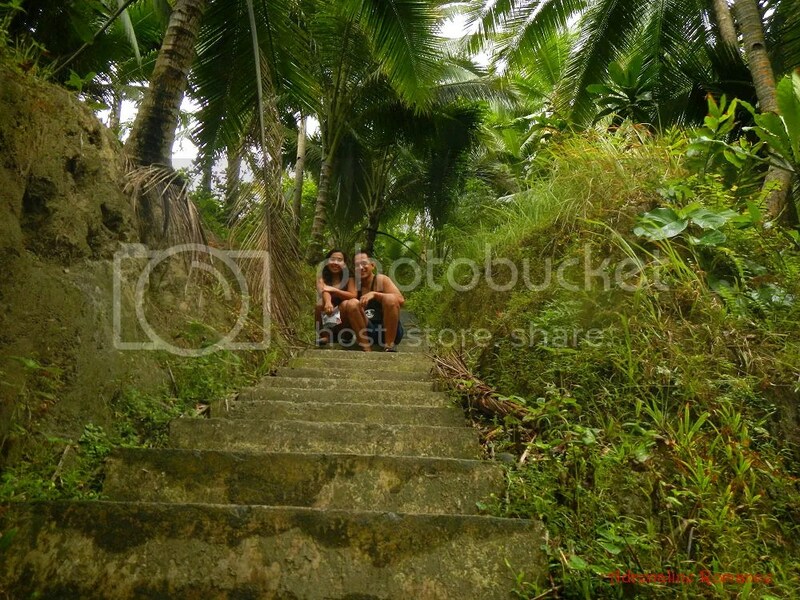 In fact, we felt we barely scratched the surface of this exotic, mysterious part of the Philippines. Farewell, Surigao and the Caraga Region. Thank you for allowing us to glimpse and visit your wonders that left us awestruck. Thank you for teaching us valuable lessons about Mother Nature. Thank you for raising your citizens as some of the most wonderful, helpful, and friendly Filipinos in the world. Thank you for letting us witness the effects of the clash of two immovable forces, man’s greed and Mother Nature’s resilience in the face of death. The Caraga Region has left us happily enthralled, and we will surely come back to discover more of its marvelous secrets. 1. We took the tricycle with a fixed rate because we were racing to photograph the sunset. 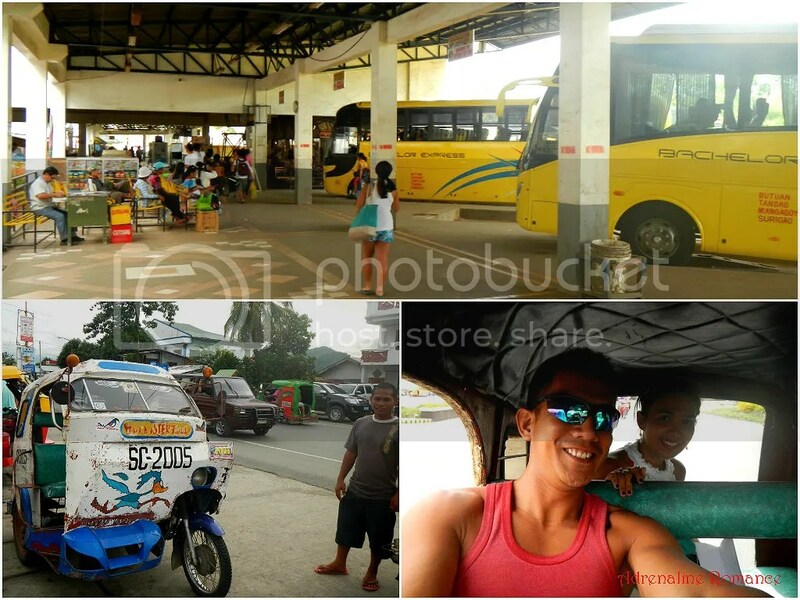 If you’re not in a hurry or if you want a cheaper way to go to Mabua Pebble Beach, you can take a jeep bound for San Francisco/Malimuno and tell the driver to drop you at the highway crossing that leads to Barangay Ipil or Mabua. 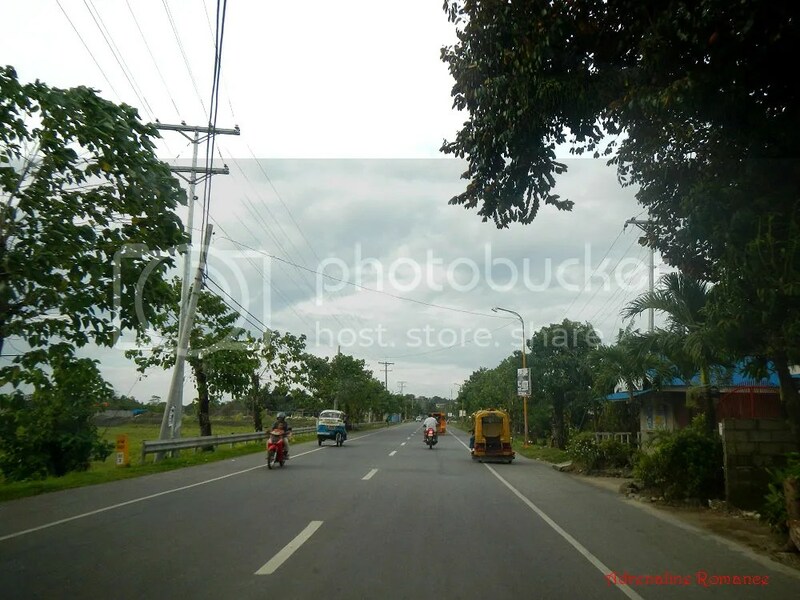 From there, you can ride a tricycle to the Ipil-Mabua crossing. From there, ride a habal-habal to Mabua Pebble Beach. Jeepney fare should be around P8, tricycle fare is P15, and habal-habal fare is P10. 2. 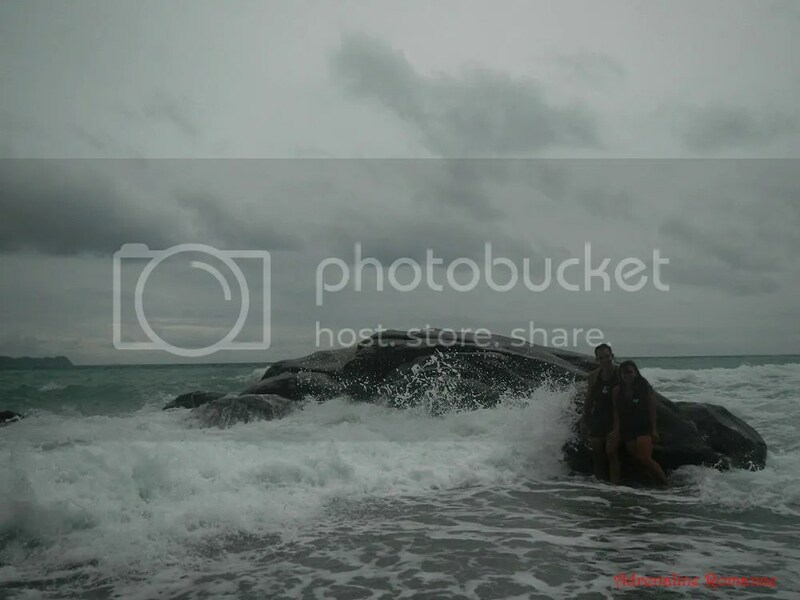 Be careful when swimming in Mabua Pebble Beach or Looc Beach when the waves are big and powerful. If you ride a wave and crash into the rocky shore, well, it’s going to be really painful. Also, watch out for large rocks. 3. The entire shore of Mabua Pebble Beach is lined up with resorts of all kinds. 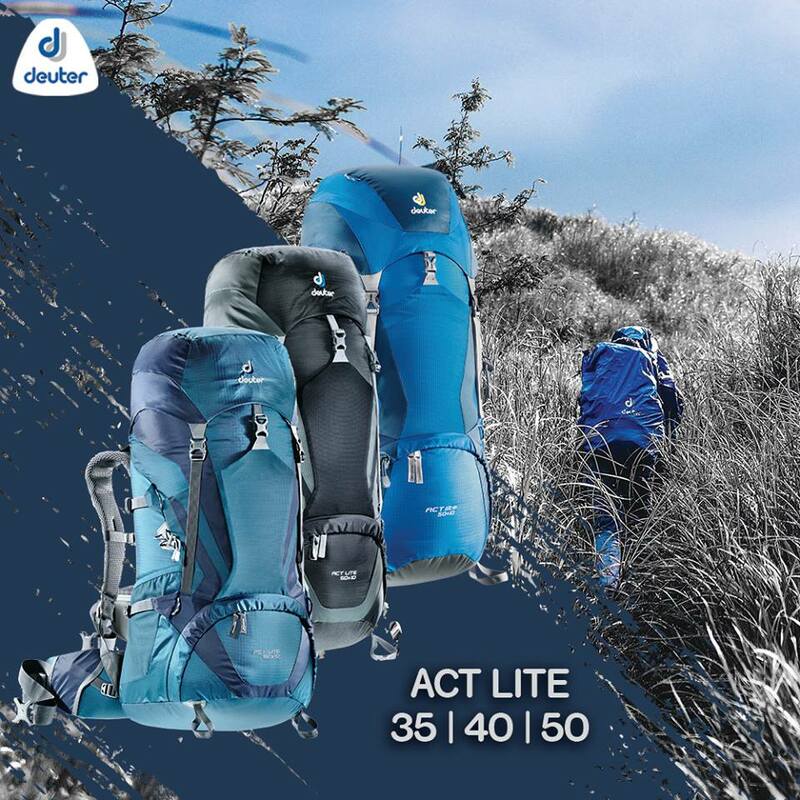 Just choose which one fits your preference and budget. 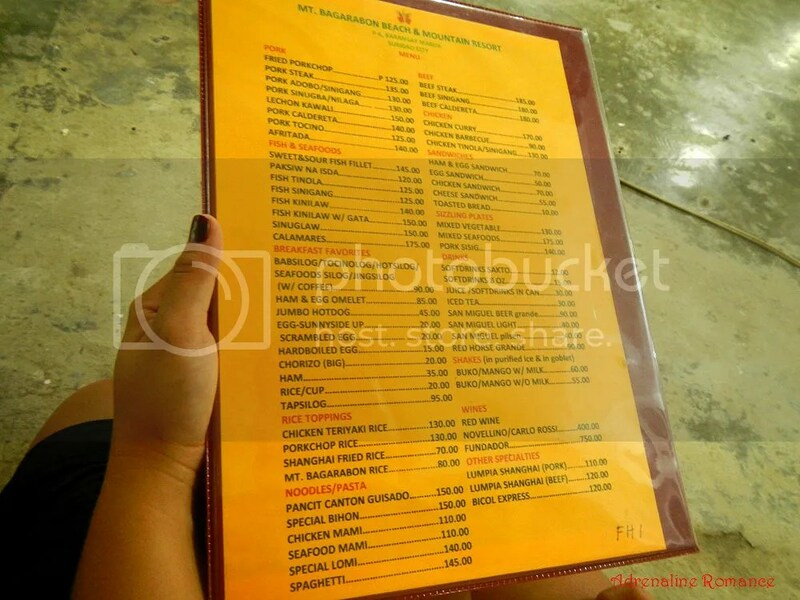 Traditional Filipino conveniences such as sari-sari stores, carenderias, bakeries, parlors, etc. are available. 4. You can dine on delicious but affordable food in Mt. 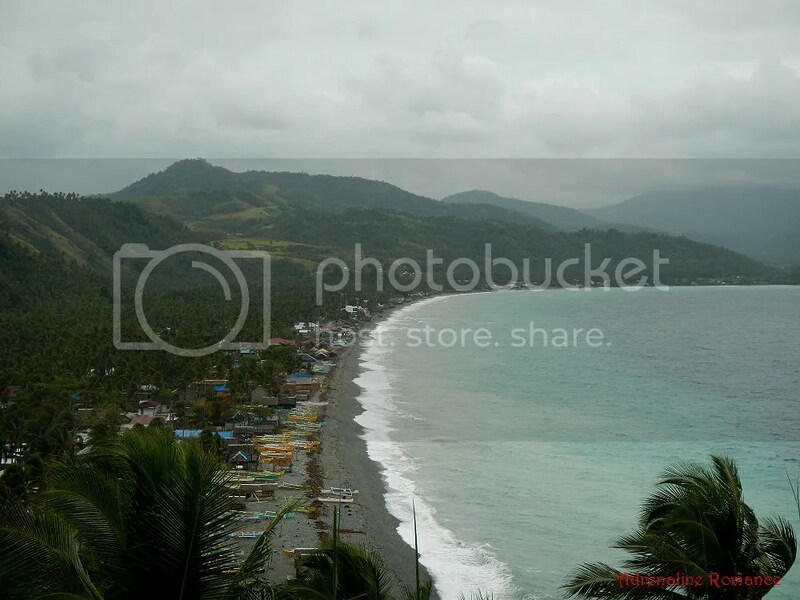 Bagarabon Beach and Mountain Resort. 5. 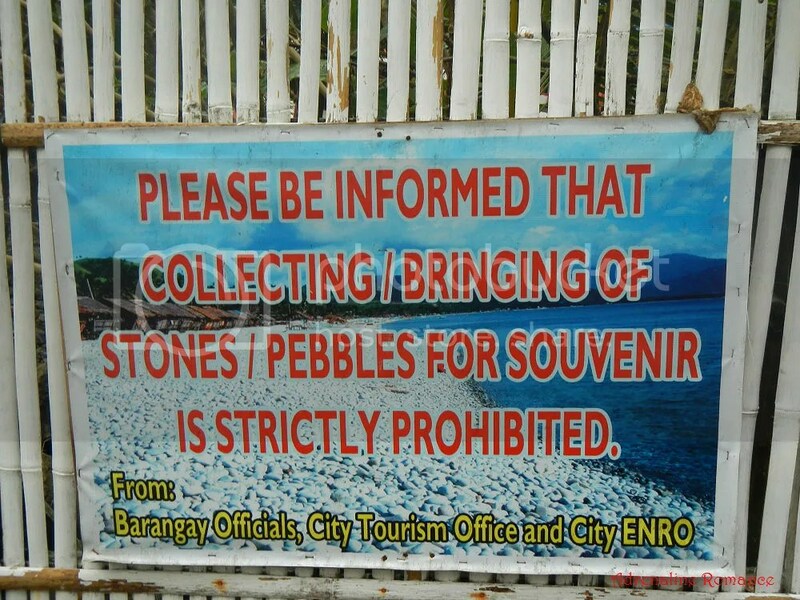 Taking stones from Mabua Pebble Beach is strictly prohibited. Let’s respect both Mother Nature and the province by leaving those stones alone. Good to hear from you! I am not totally clear on which part of the Phillipines you are from and we have been hearing the terrible news. Good to see some of the more untouched parts of the country here. Thank you. We’re from Lapu Lapu City in Mactan Island, a satellite resort island beside mainland Cebu. We weathered the supertyphoon, and despite minor damages to our house, we’re fine. As of now, we are donating/repacking relief goods and joining the rest of Cebuanos in helping the survivors/victims of the typhoon get back on their feet. 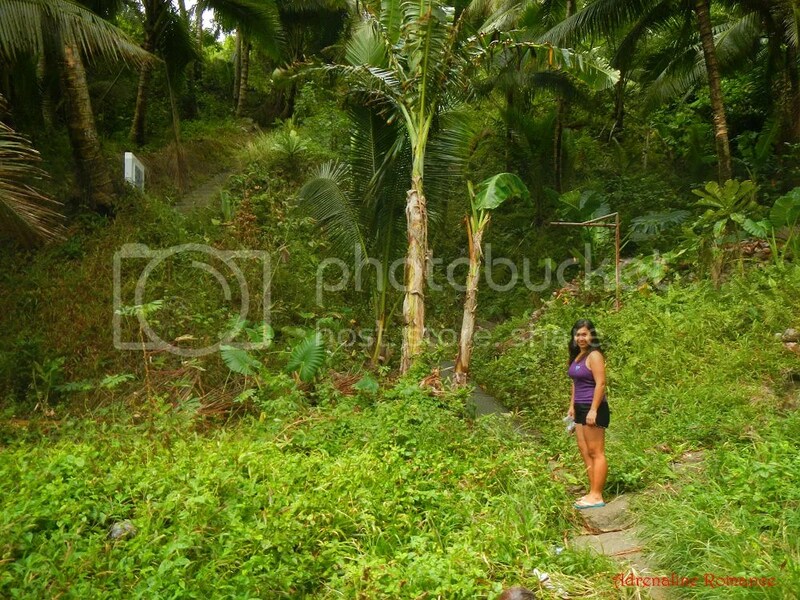 Actually, those photos were taken during our visit there last September 2013. 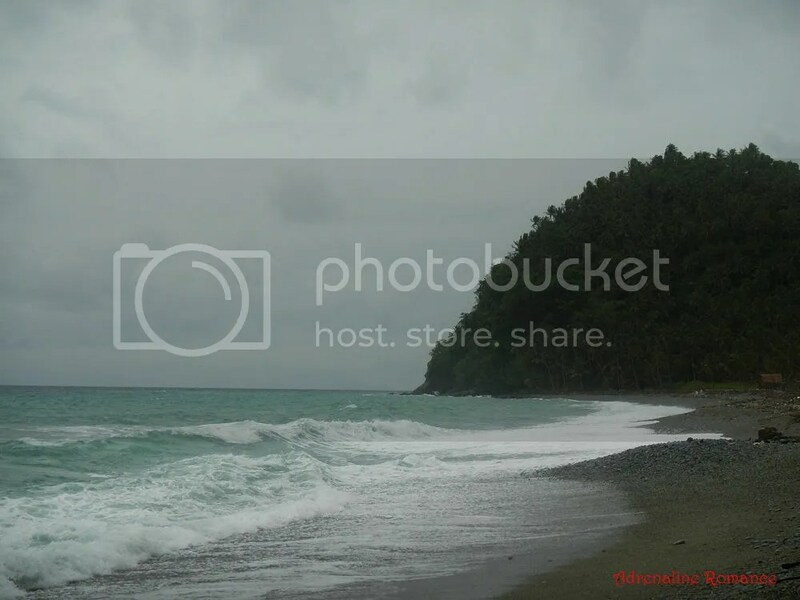 The supertyphoon’s path did not cross the Caraga Region, so we’re pretty sure the beauty of this beach (and other destinations we covered in this roadtrip) are not affected. Thanks for the clarifications. Glad you guys were away from the worst of it, although still sorry about the damage to your place. I wish you well in your work for the relief efforts. You’re welcome. Thank you too for showing some concern. 🙂 It’s okay, the damage was easily repaired. Naa pud ing-ani sa Batanes. Pero they call it boulder beach. Where else naa ing-ani na beach sa Pilipinas? Hehe! We can’t. Harvesting pebbles for souvenirs is prohibited. 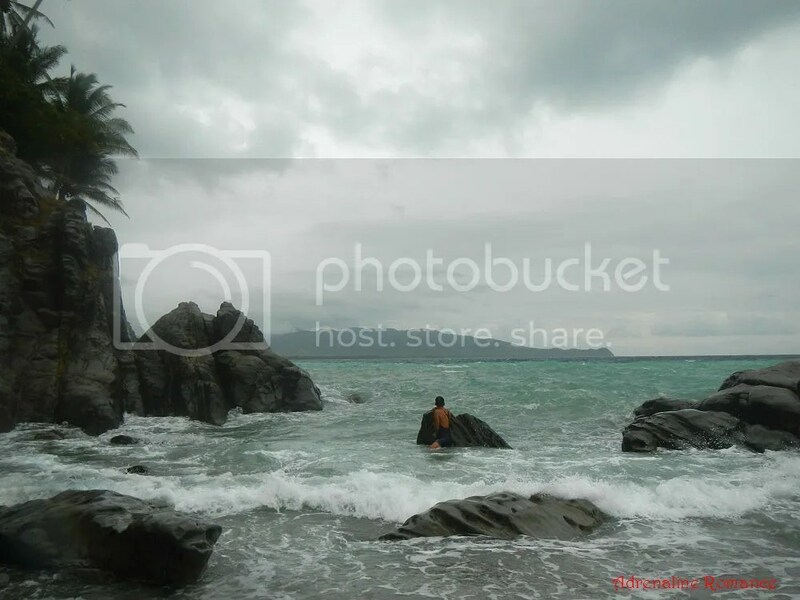 We’re not sure what other beaches in the Philippines are like Mabua. 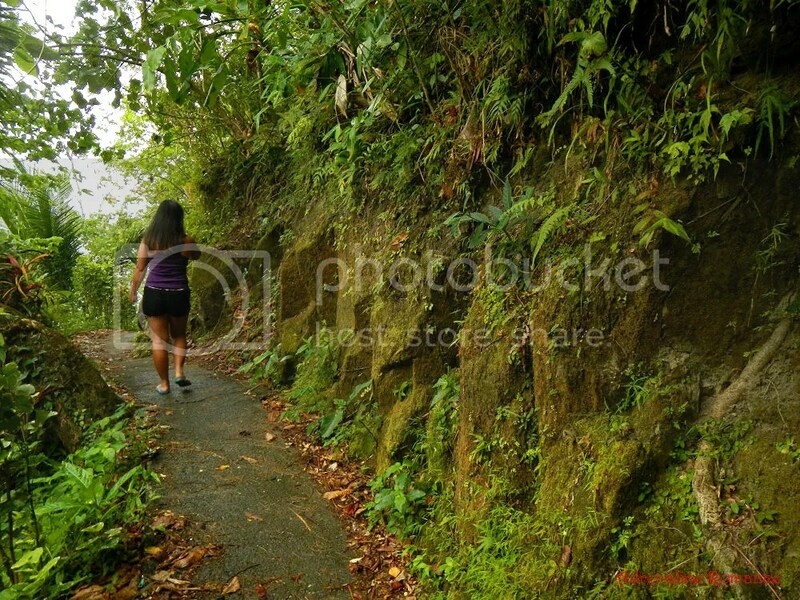 As you and eyekensee mentioned, there’s a similar one in Batanes. 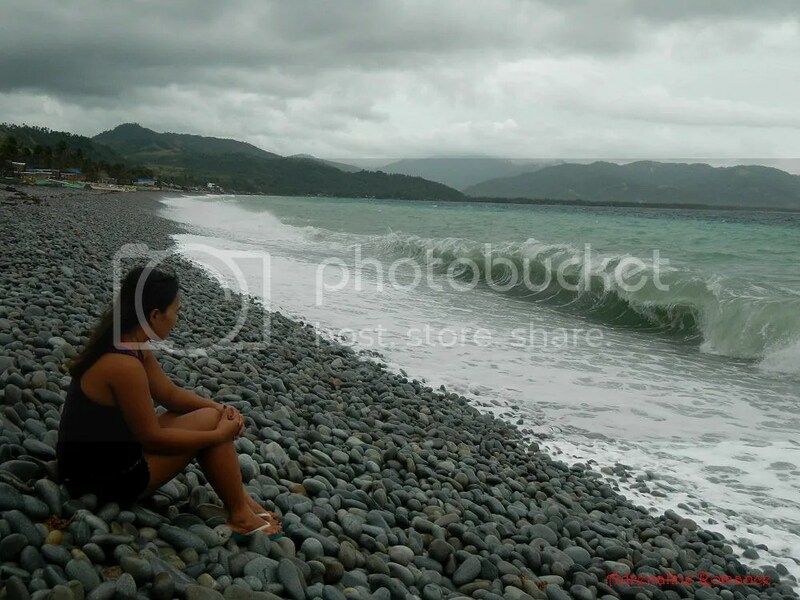 Beautiful…beautiful…beautiful…i love my Philippines…Thank you guys for this post! Thank you! And yes, the Philippines is indeed beautiful beyond words. Really? We would love to visit there. 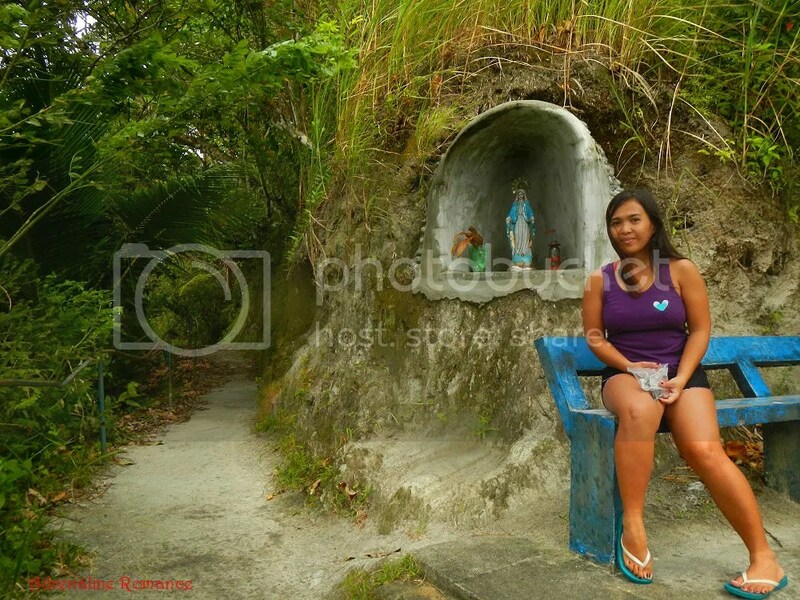 Problem is, Batanes is just too far; it would be like visiting another country altogether. Also, the logistics of such a trip require a massive amount of time and effort as well as a good amount of money that can break our travel finance’s backbone. Hehe! But we’ll definitely try to find a way to go there. As they say, if there’s a will, there’s a way. Amazing! My kind of place. Indeed, the Philippines is such a beautiful country. Thanks again for sharing 🙂 . We definitely agree with you. 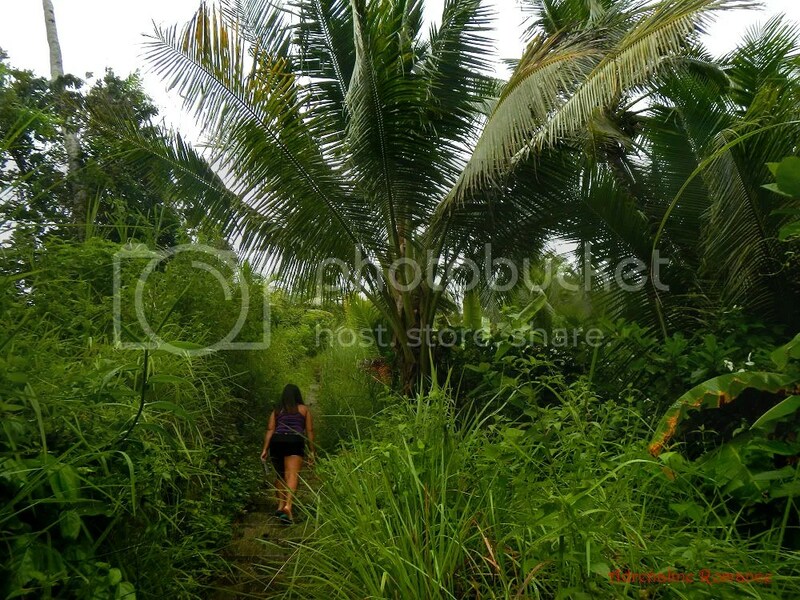 The Philippines has infinite wonders waiting to be discovered and appreciated. beautiful place. Iv’d never been to a pebble beach before and I hope to visit one day.! Sorry for the delayed reply; we got busy for a while. 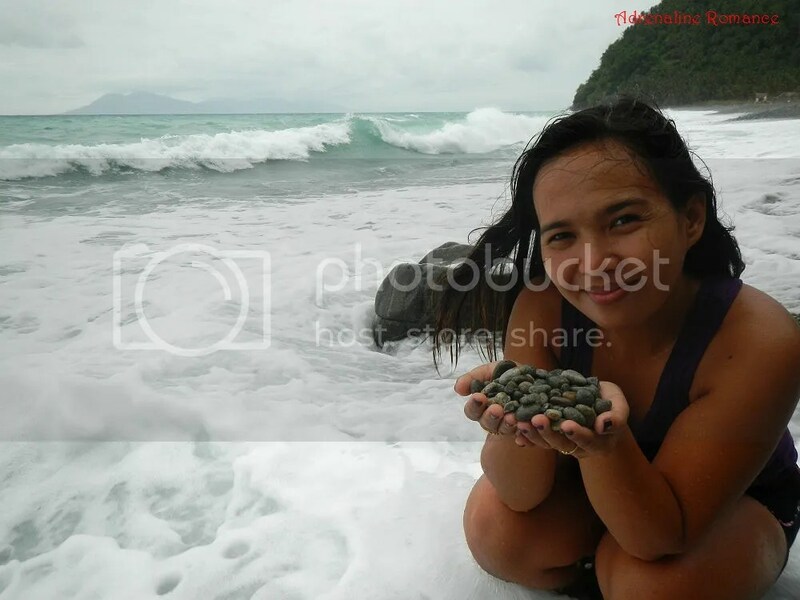 Oh yes, you should visit Mabua Pebble Beach and Looc Beach one of these days. We were actually awed at the uniqueness of the beach, particularly those large stones. Hello there – THE Adrenaline Romance Duo! Though this message is short and delayed , just want to thank you for your simple yet vivid, casual yet poetic- description of all your experiences in Mabua, including your stay, foremost, in our modest resort – Mt. Bagarabon. 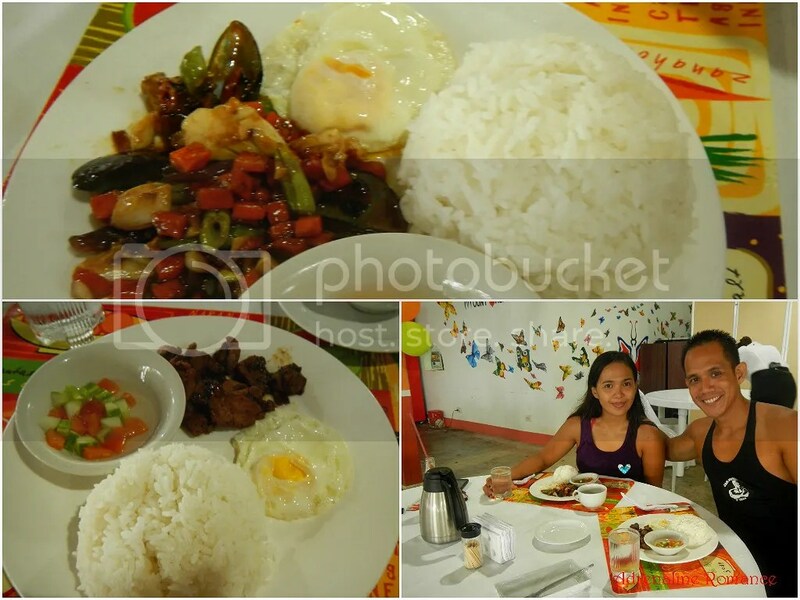 Your comment about our rice – “kanin pa lang ulam na” is gratifying and encouraging. Needless to say, you are truly romantic! That suits your name 100%. Yes, our appreciation too for helping us preserve nature’s beauty by not bringing any pebble for souvenir! More power to you ! Hope to have you with us soon! Thank you so much. You are the first resort whom we have a transaction with to post a comment in our blog! For that, we are extremely honored. Yes, we are advocates of eco-tourism, environment conservation and preservation, and the development of sustainable practices. As such, we diligently practice LNT (Leave No Trace) principles and ensure that our human “footprint” in a unique paradise such as Mabua pebble beach is as small as possible. 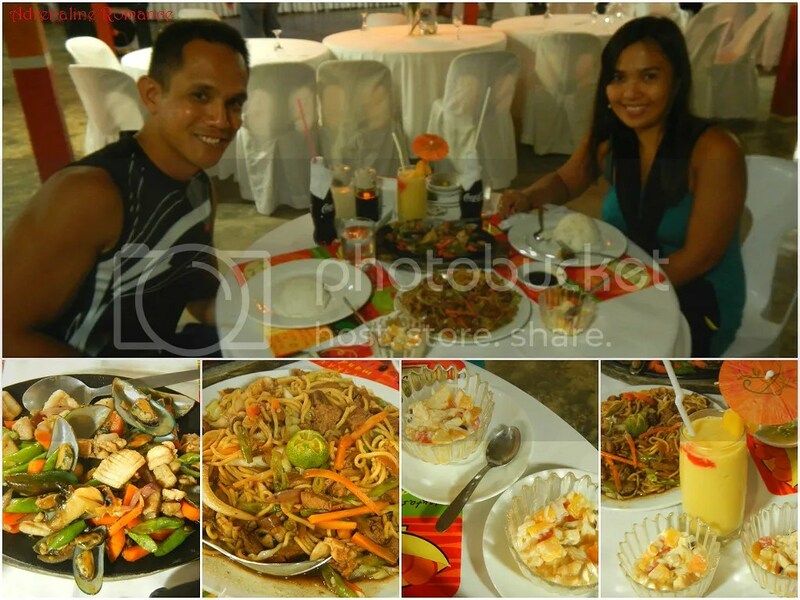 As our host during our Surigao sojourn, you have provided us with excellent service and sumptuous meals! Your resort is truly a backpacker’s haven. P.S. You can link this blog post to your website. We added a link to your website in this blog post. I didn’t know that food in that resort is not that pricey… Next time I’ll try to it. 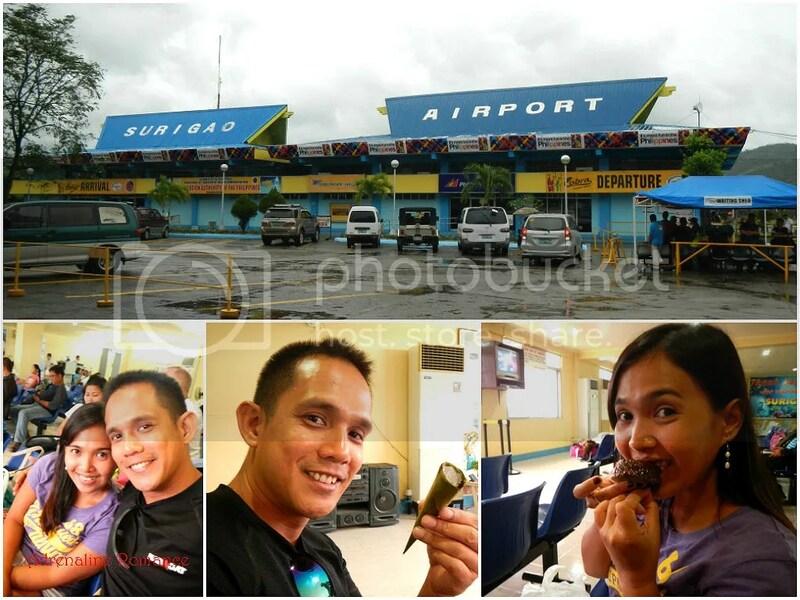 Mabua Pebble Beach is truly an emerging destination in Surigao City that I hope continues to. While Looc Beach is perfect for sunset viewing, one of the best I witness in my travels. Go back there on a sunny day as these places are more beautiful. Nice! 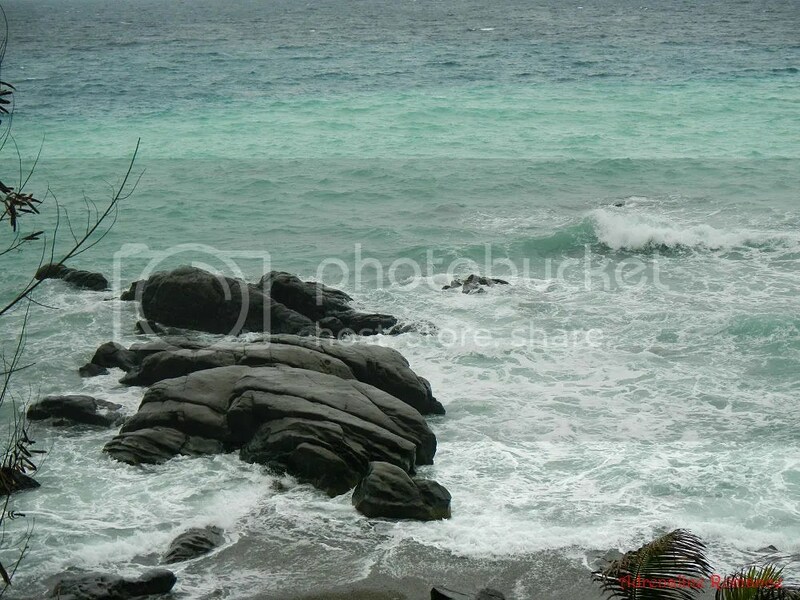 We’re confident that you would really love Mabua and Pebble Beaches. Those beaches are really unique. Kanindot oi. I’m so thankful for your blog because I have now the guide for my wishlist trip to Mabua Pebble Beach. You look so cute in your pictures. Amping kanunay! Thank you very much for the compliment. Cute gyud? Hahahaha! Thank you for visiting our blog. Please send us a link of your finished project once you are done with it. Thank you. Thank you for visiting Surigao City and for writing good things about your experiences while in our City. You made us proud of everything you have written. Hope you could come back and explore other tourist sites in our City. I will be glad to provide you a ride and a tour guide..